Confounding our critical time limitations, much of which is spent in efforts geared toward determining what will be covered by the patient’s insurance, is the challenge to implement the most progressive and effective standards of care given the complexity of judging the benefits and risks of modalities that may not be considered as traditional areas of focus for the PCP. Perhaps no other treatment modality has sparked more debate then that of Bioidentical Hormone Replacement Therapy (BHRT). With the immense interest generated by popular media, social networking and internet based information, patients often turn to their PCP for evidence based information and education. For the PCP this presents a unique opportunity as this can often be a critical period to evaluate risk for future health problems, provide proactive preventive care guidelines, prevent morbidity and decrease mortality. The primary care setting is on the frontline of healthcare services and often serves to facilitate a cascade of all future healthcare needs of the patient. Proper evaluation and diagnosis is essential in providing efficient and effective care. In a time when financial expenditure, budgets and profits are an unfortunate reality of healthcare the decisions made at the primary care level can impact not only the patient but the entire health care system. The aim of this paper is to specifically discuss BHRT in menopausal women and the unique role of the Primary Care Provider in assessment, evaluation, initiation and follow up of such patients in the primary care setting. Due to limitations in space and the reader’s time, this conversation will be restricted to discussion of basic protocols and guidelines that can be easily implemented in a primary care setting. The main goal is to familiarize the PCP with typical characteristics a patient may present with who may be an appropriate candidate for hormonal therapy that may otherwise, in less astute eyes, be incorrectly assessed thus leading to needless exposure to redundant diagnostic evaluation, inappropriate interventions and pointless therapeutic modalities. Menopause represents the permanent cessation of menses. Most women reach menopause between the ages of 45 and 55, with average onset in the Western world being at age 52. Due to the relatively wide age range for natural menopause, chronological age may not be an adequate indicator of the beginning or end of the transition process. Although menopause is perhaps the most obvious and expected physical event, general knowledge about the process, symptoms and effective management is often inadequate. Thus this presents a unique opportunity for the primary care provider to effectively and efficiently manage what could potentially influence a woman’s perceived wellbeing, overall quality of life and health status. Midlife Physiological Changes: Is this Disease or Menopause? All women will experience menopause. However, each will do so in a very individual and unique way. Although the majority of women will report experiencing common symptoms in relation to the physiologic hormonal changes associated with menopause (night sweats, hot flashes and menstrual irregularities) there are numerous other presenting symptomology that may otherwise mimic alternate pathology and disease. Depression, anxiety, fatigue, muscle and joint pain, hair loss and/or growth, skin changes, dry eye syndrome, hearing impairment, onset of periodontal disease, memory changes, insulin resistance, cardiac palpitations and other cardiovascular related ailments are often generalized complaints patients present with in midlife. Since such symptomology may easily be attributed to an array of possible pathologies including autoimmune disease, heart disease, diabetes and possible cancer related disorders, women and their primary care providers may be challenged to distinguish whether such symptoms are attributable to onset of midlife pathology or simply menopause related changes. The PCP, working in collaboration with the female patient, can be a vital influence in helping guide the female patient in evaluation of personal health practices, facilitate improvement and enhance an overall sense of wellbeing and self-determination. In addition to the general laboratory tests that are commonly performed as part of a complete health care evaluation (lipid panel, comprehensive metabolic panel, fasting blood sugar, etc.) hormonal evaluation can be an important component in compiling a complete profile of a woman presenting with a barrage of symptoms and complaints. The effective management of menopause related symptoms requires a collaborative approach between the patient and the PCP. A thorough discussion of symptomology, goals, expectations and areas of concern is essential between the patient and health care professional. Based on the review of labs the PCP can affectively counsel the patient as to the basic guidelines for initiation of bioidentical hormone therapy (BHT). This also serves as an opportunity for the PCP to determine whether to continue in the role of a primary coordinator of care or to better refer to someone more experienced in the treatment modalities. Once again there is opportunity for a unique collaborative moment in the relationship between the patient and PCP that will extend into future interactions between the professional and the patient. As it is beyond the scope of this article to discuss the specifics regarding precise individualized BHRT dosage it is left to the PCP to seek relevant evidence based approaches as to the nuances of prescribing BHRT regimens. Multiple references at the end of this commentary provide excellent guidelines that may be of interest and can help guide the provider in development of standardized institutional protocols for BHRT management. Basic guidelines for initiation and follow up recommend that first follow-up be scheduled 3 months post regimen initiation. At that visit the PCP needs to revisit the patient’s initial presenting symptoms, discuss progress in symptom management, and discuss any new or persistent concerns. Adjustments in dosage based on presenting symptoms should be done at that time. Lab tests to be performed at these follow up visits should correspond with the prescribed BHT regimen. Routine labs should be checked annually. If changes in therapy are required a 3 month follow up is recommended. If no changes are needed follow up visits can be extended for 6 months. After that annual visits are appropriate and serve to continue the collaborative relationship between the patient and the PCP provider. 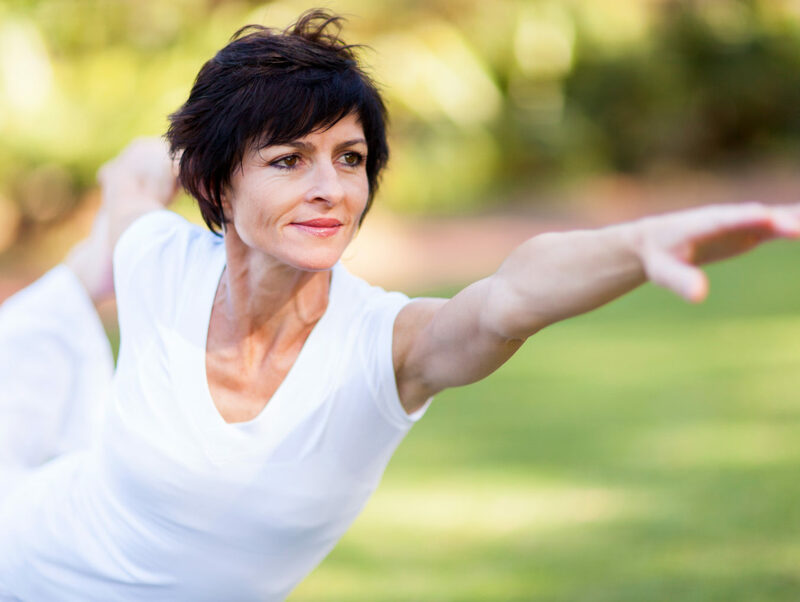 In consensus with the latest recommendations from the North American Menopause Society the objective of hormone therapy in women having gone through menopause is to provide relief of symptoms found to be disruptive of normal activities of living. While conventional medical therapies often provide a simple cookie cutter approach to patient management, BHRT is a more holistic, individualized approach that not only helps manage symptomology but also provides a comprehensive and prevention based approach that encompasses medical, lifestyle and behavioral based therapies in effort to prevent initiation and progression of chronic disease associated with the aging process. BHRT is a unique tool that assists in caring for women not only during the transition years, where the PCP is first likely to encounter the patient in the primary care setting, but also into later years when age and menopause related symptoms progress into development of chronic age related disease.10 It is often in the primary care setting where non-experienced care providers may feel that their role is no more effective than merely the band aiding of superficial symptoms. In this setting there is often missed opportunity to treat the underlying cause and instead there exists a reliance on providing treatment to merely adequately mask the symptoms the patient presents with. How often has a middle aged female patient presented with complaint of headache? Depression? Weight gain? Fatigue or anxiety…and we quickly conclude that a prescription for an anti-depressant, or pain medication, or muscle relaxer, or an appetite suppressant is the appropriate prescription to write the patient after a 7 min conversation? Could it be that we as PCP’s are missing an opportunity to make a difference and are, instead, settling on providing only temporary and often ineffective resolutions? The science of BHRT is constantly evolving so it is important that the primary care provider stay informed and keep an open mind/perspective as the understanding of such agents expands and improves. Since a large percentage of menopausal women will suffer the consequences of age related disorders further innovative, evidence based research regarding the role of BHRT is needed. As primary care providers, we must not miss the opportunity to be in the forefront of care in coordinating the needs of the menopausal patient. PCP is the gatekeepers in the health care arena. We should not take this role casually.